I first learned about two ingredient fudge from Julie, and now Shelly has put a strawberry twist on it that is perfect for making Valentine's Day fudge. You can get the two ingredient fudge recipe over at Cookies and Cups. And yes I am aware that this is my second fudge post in one day. 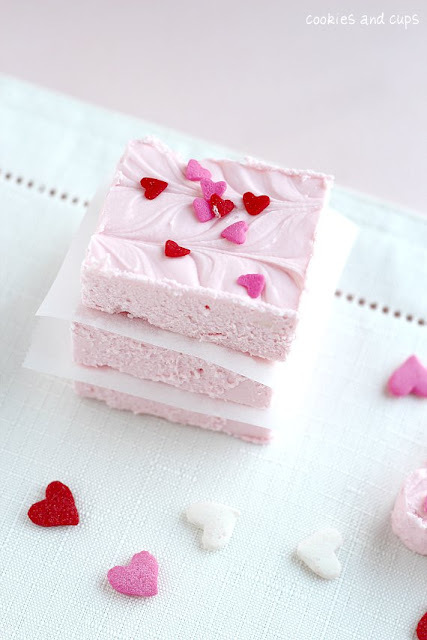 But who could resist cute pink Valentine's Day fudge! I just had to pin this! My hubby would love this!